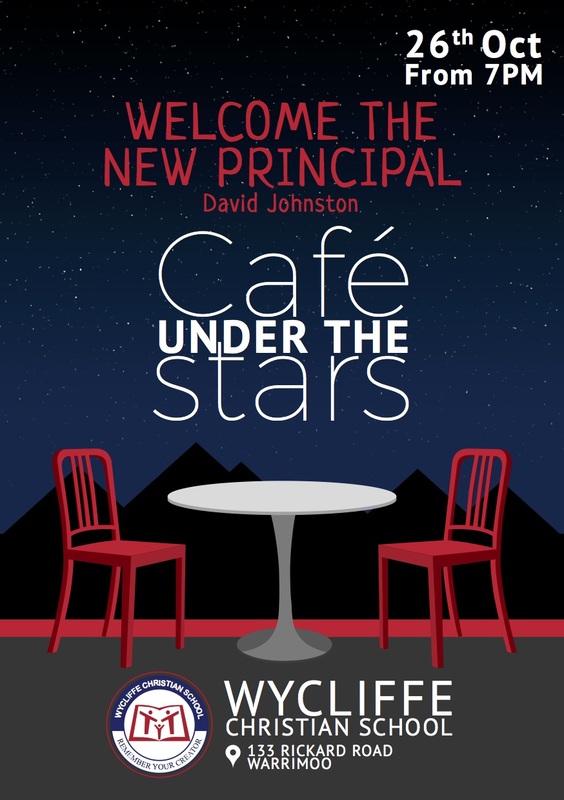 Cafe under the Stars – Welcome the new Principal! We warmly invite parents to join us at Cafe under the Stars to welcome David Johnston to Wycliffe. Dessert and coffee will be served. RSVP is not essential, but we encourage you to do so below.